The countdown is on for Communiversity, one of Central New Jersey&apos;s most well-known events and beloved annual traditions. Come in rain or shine to Downtown Princeton! Presented by the Arts Council of Princeton and the students of Princeton University, the event originated as "The Art People&apos;s Party" on the lawn of Nassau Hall in 1970. 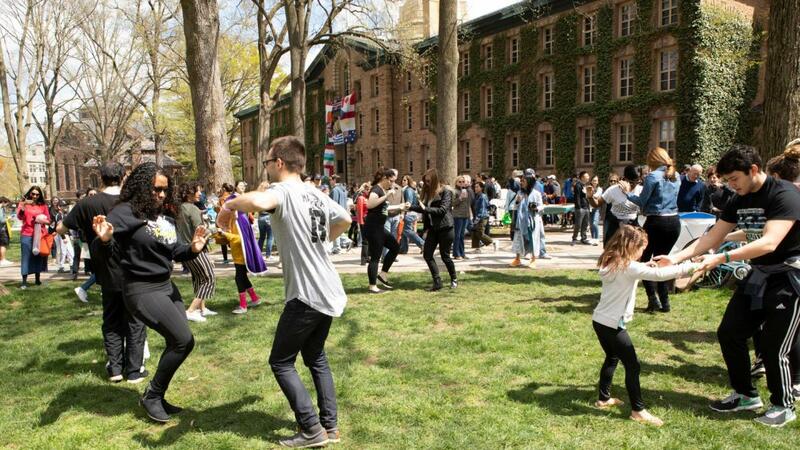 Later renamed Communiversity to capture the Town-Gown spirit of the event, the popular arts festival has grown to attract more than 35,000 visitors to Princeton, NJ each spring. Communiversity Festival of the Arts 2019 will feature more than 200 artists, crafters, and merchants from around the tri-state area; continuous live entertainment on five stages; children&apos;s activities and games; a wide array of delicious food from around the globe; and a broad representation of the many businesses and organizations that play a prominent role in the vibrant life of the Princeton community. 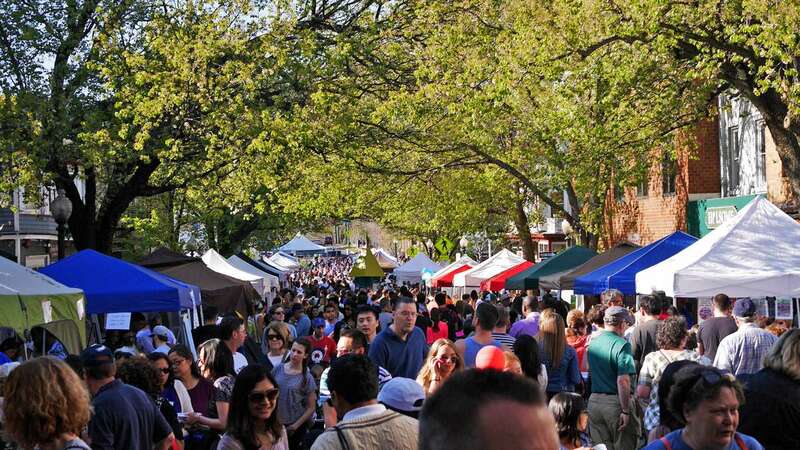 The event takes place in downtown Princeton on Nassau and Witherspoon Streets, in Palmer Square (on the Green), and throughout the University campus. Admission to the event is free for the public. For additional information about Communiversity, Festival of the Arts, please visit Arts Council of Princeton. Communiversity takes place in the heart of Princeton where there are many street parking options as well as parking garages - the Chambers and Hulfish Garages can both be accessed via Chambers Street and the Spring Street garage can be accessed via Wiggins Street. See map for details about street closures and parking garage locations. The owner and operator of Princeton Shopping Center, EDENS, is sponsoring a Communiversity shuttle that will transport passengers from the shopping center to the festival entrance at the corner of Wiggins and Witherspoon from 12:30-6:30pm. Look for shuttle signage at the side of Sherwin Williams at Princeton Shopping Center and by the ACP&apos;s Paul Robeson Center. Additional parking can be found in Princeton University&apos;s parking lots. Visit www.princeton.edu/parking for details. NJ Transit has several bus routes that come through Princeton, including Montgomery-Princeton-Quakerbridge Mall and Princeton-Plainsboro. You can find out more details at http://bit.ly/1qPMwDs.